Italy…where to begin? As home to some of the world’s most famous sights, beautiful countryside, and best cuisine – it can be hard to narrow it down to a manageable itinerary. That being said, we’ll do our best to show you where to travel in Italy, how to get around, when to go, and how much it’s likely to cost you. Want to learn more about Italy? You have a number of options when traveling around Italy. For most, trains will get you where you want to go – and are generally fast, reliable, and safe. Renting a car is also an option, especially if you want to take the time and explore the countryside. Generally road quality is good, though some more remote locations might be tough and city traffic is notoriously congested. Overall, you have a variety of options to choose from depending on the nature of your trip. Like many popular northern hemisphere countries, you’ll often find the best weather but the worst crowds during the summer months. Late spring is a great time to visit, since the crowds won’t be quite as bad as they could be and the weather will still be enjoyable. If you plan on skiing in the Alps, you should probably visit during the winter – but I’m going to assume you already knew that. 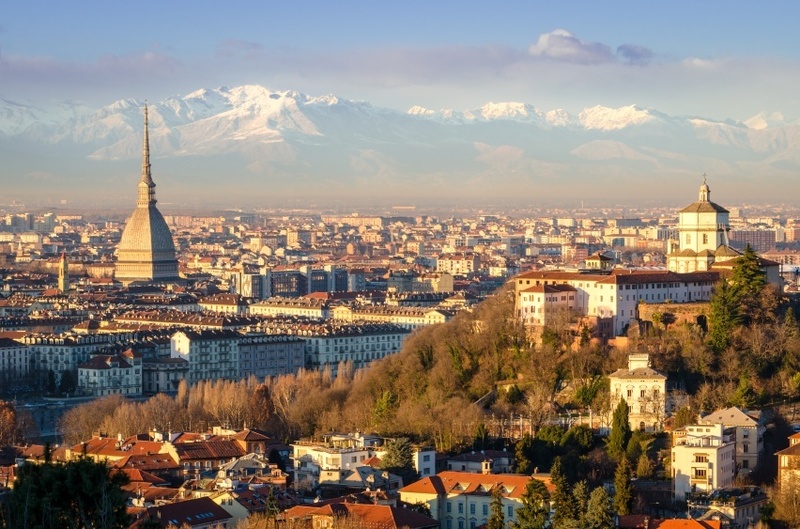 As we begin our (roughly) north to south journey, our first stop is the city of Turin. Remembered by most as the host of the 2006 Winter Olympics, the city is certainly a suitable place to stop before heading off into the Alps. What most people don’t realize however, is the wealth of sights and sounds to see and experience downtown. While Turin was a major political centre during the early days of the Italian state, the city’s importance waned during the 20th century. Recently however, a revival of sorts has resulted in contemporary sights and establishments to go along with the historical significance and relics – such as the renowned Shroud of Turin. If you’re short on time, other cities perhaps offer more to see and do, but if you can afford it – give Turin a shot. Milan is a distinctly different beast compared to the ‘classical Italian city’ and for many it’s either a love it or hate it type of place. If you go in expecting historical and tourist sights everywhere, you’ll likely be disappointed. 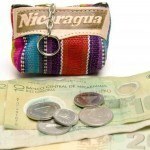 What you’ll find instead is a modern city with unbeatable shopping, cultural performances, and an exciting nightlife. That being said, there is still enough here to sate sightseers – including the massive gothic cathedral. It may not be the most photogenic of Italian cities, but it could perhaps be the most fulfilling. 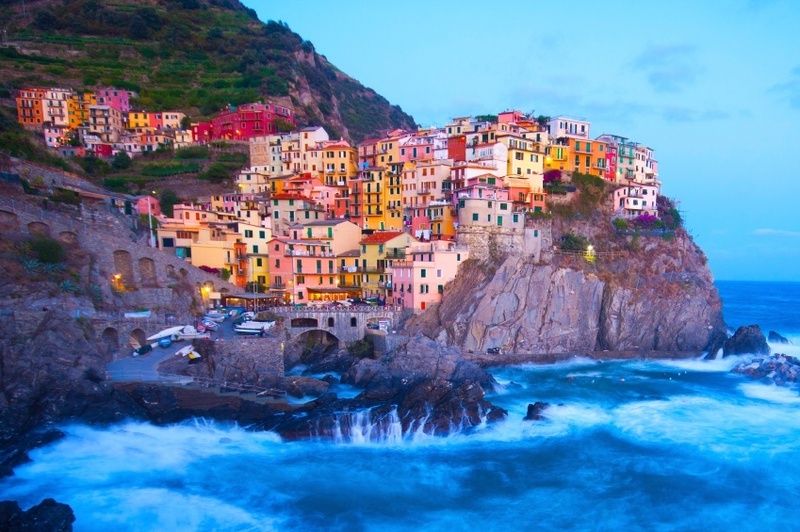 The Italian Riviera is home to some stunning locales, but nothing can quite match the awe-inspiring Cinque Terre. This stretch of coast is home to five villages – and they really are something to behold. Amongst the mountainous coasts, these villages have seemingly been carved into the cliffs – a result of centuries of terrace construction. The view from these towns is absolutely breathtaking, and can’t really be described until you see it for yourself. Unfortunately Cinque Terre can no longer be considered a hidden gem of northern Italy, but that doesn’t mean you should miss out on a chance to visit one of the most unique locations in the country. Speaking of ‘unique locations’, how bout you take a trip to one of the most unforgettable cities in the world. Constructed in the middle of a lagoon, Venice trades roads for canals and the ordinary for the extraordinary. It’s often viewed as one of the most romantic cities in the world with the combination of unique beauty and decaying infrastructure creating a lasting image. Lovers of seafood will find quite a lot to like here, with standard Italian fare given a maritime twist. Venice sometimes gets a rap as a living museum more than an actual working city – and there’s definitely some truth to this. During most months, tourists outnumber the locals and the city has certainty fallen a long way from being one of the most powerful in Europe (that was over 400 years ago). That being said, be sure to wander off the beaten path to really experience the true face of Venice. Instead of dining along the Grand Canal in the heart of the city, try the alleys and keep an eye out for restaurants with no English on the menu. The tourists can be a bit overwhelming, but there’s no excuse to not visit one of the most impressive and beautiful cities in the world. Located in the north-central part of the country, Florence awaits travelers of all sorts. As one of the cities most closely associated with the Italian Renaissance, you’ll find a great many artistic and architectural sights to take in – not least the statue of David and the Duomo. Unlike Venice, you’ll quickly find that Florence is a city that is still very much alive – with locals, students (both domestic and international), and visitors walking the streets throughout all hours of the day and night. We’d be remiss if we didn’t mention the absolutely stellar food and wine (be sure to try a Florentine steak). If there was ever a place that gets the balance between historic sights and modern life right – it’s Florence. While the city is a must-see, the region that encapsulates Florence is just as integral to any Italian getaway. 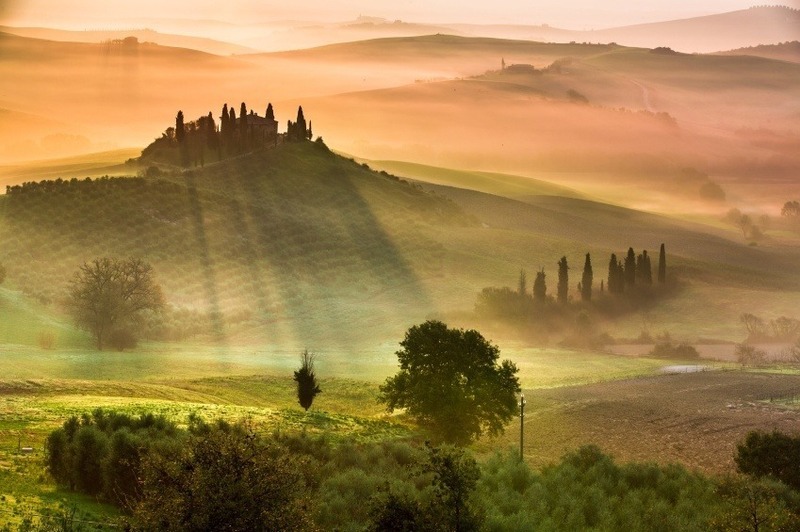 Idyllic countryside, gorgeous cities, striking hilltop towns, world-class vineyards, and great food are all found in Tuscany. A few major destinations worth a look are the medieval city of Siena, hilltop San Gimignano, and the fortress of Monteriggioni – but just as must enjoyment can be gleaned from exploring the lesser known corners of the vast region. Wine lovers will find themselves right at home here, with the famous Chianti wine only produced in a specific area (aficionados will know a bottle by the black rooster seal). You could lose yourself for weeks in Tuscany, but be sure to make it a day-trip from Florence at the very least. Let’s be honest, you were never going to visit Italy and not make it to Rome. 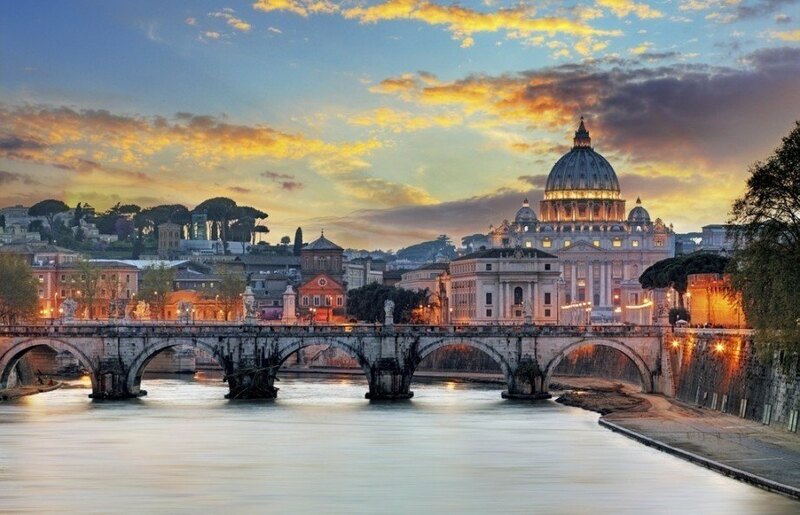 As one of the most renowned cities in the world, Rome allows you to immerse yourself in history (stretching back thousands of years) to a degree that is staggering even by European standards. In the course of a single day you can step back into the age of the Roman Republic and tread in the footsteps of gladiators, before finding yourself in the home of one of the oldest and most important religions in the world. There’s simply too much to see here, so you’ll have to plan carefully (lines can get quite long at St. Peter’s Basilica and you’ll need a ticket for the Vatican Museum as well as most major sights). Rome can be a bit of a pain to navigate, with the subway system only really meant for commuters. Still, if you can find your way around – you’ll be treated to a journey through centuries of history that helped shaped the Western world. Naples is a tough city to describe. On one hand, the location is stunning, the locals are friendly, the atmosphere is authentically ‘Italian’, and the cuisine is top-notch. On the other, the city is often characterized as a haven for crime while parts of it are considered run-down and dirty. All this is true, the good and the bad. Still, once you begin wandering the streets you’re decision to come here will be immediately vindicated. The historic centre is home to an impressive array of palaces, castles, and more but it’s arguably the culture of Naples that serves as the biggest draw. Distinctly un-touristy but with more than enough to occupy any traveler – there’s a unique down to earth grit that just isn’t found in the big cities of the north. So you’ve explored Naples but are still looking for more? Like with Florence and Tuscany, the nearby region is arguably just as integral to your trip. While the Mediterranean Sea has quite a few gems along its shores, nothing can beat the Amalfi Coast. With high mountains, sheer cliffs, stunning views, vibrant towns, and amazing food – it’s everything you’d want from Italy wrapped in the most picturesque package imaginable. If you want to take some time and stretch your legs, you’ll find an abundance of hiking options here. While the cities of Italy hold many wonders, it’s arguably the Amalfi Coast where you’ll want to spend the bulk of your time. 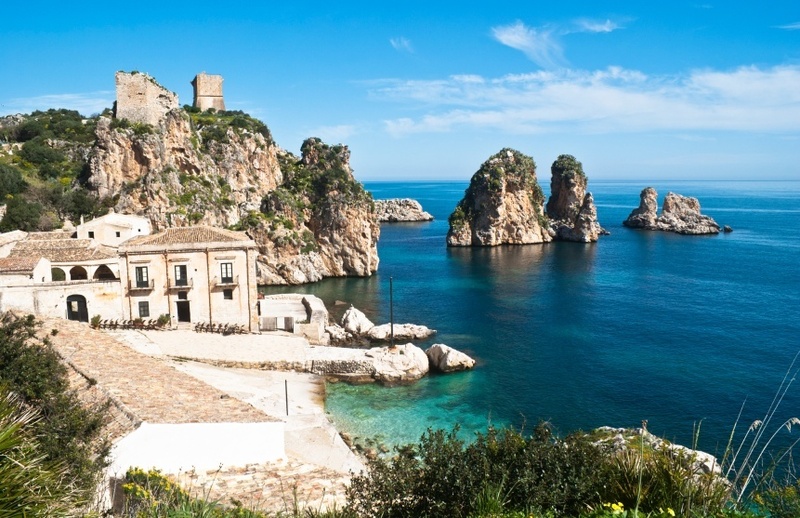 For an experience different from the rest of the country, Sicily (it’s the large island the ‘boot’ of Italy is kicking) offers a great location to end your trip. You won’t find an abundance of famous sights and tourist hotspots here (though there is an intriguing mix of styles ranging from baroque to Arab and beyond). Instead you’ll find Italian life at its most relaxed. Of course, as with most of the country you can expect some great cuisine – all with regional flair coming from the local produce and catch. Did we mention the location? The inviting waters of the Mediterranean and idyllic countryside are sure to enchant – even after everything you’ve already seen. Round trip flights between Pearson and Rome generally start around the $800 Canadian mark. As with all European destinations, sometimes it saves to fly into a different country and make your way to Italy by public transport (either train or budget airline) – especially if you’re planning a multi-country excursion. Once you arrive in Italy, you’ll find prices pretty much on par with other Western European countries that use the euro. 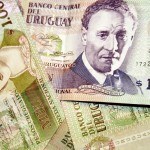 Expect to spend about $168 per day with a budget of $94 for accommodation and $46 for food. If you’re thrifty, you could probably get by with the considerably lower sum of $67 per day while living like a Medici will put you closer to $422 per day. Some of the most well known tourist sights often cost money to visit, so be sure to factor that into your budget if you plan on visiting them (especially in Rome). Italy is a generally safe country, with the Government of Canada recommending normal security precautions throughout. As always, you should be wary of petty crime – which is especially prevalent at tourist sights and in busy cities. Avoid any demonstrations and marches that crop up. While the road quality is generally good, local drivers are often fast and reckless. Just keep in mind that Italy is one of the most visited countries in the world, and as long as you use your best judgment, everything should be okay. These are just a few examples of where to travel in Italy, there’s tons more to see and do. If you think somewhere else should be on the list, let us know in the comments. Check out our Country of the Week for more general information about Italian history and culture as well as our Currency Spotlight for information on the euro.